Hola Estrellitas! 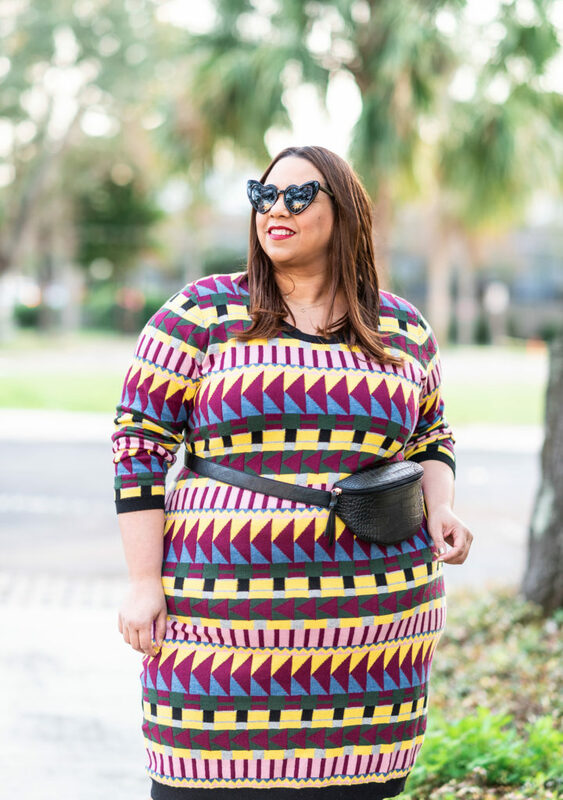 For look #3 of 2019, I am wearing a striped sweater dress from Eloquii with a fanny pack. 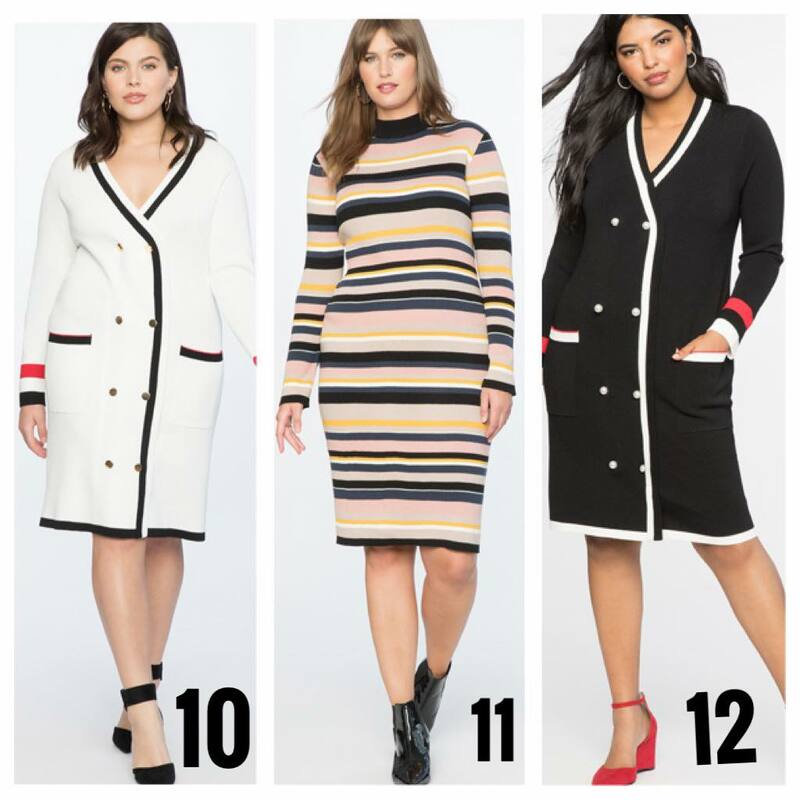 I took advantage of their big clearance sale during the holidays and I bought this cute dress, as well as a few other things that you are going to see on future blog posts. 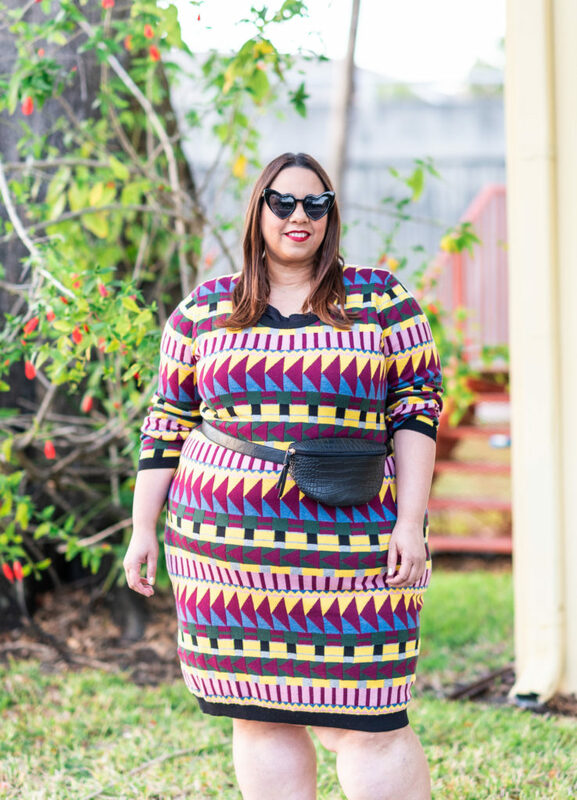 I love the colors and the print of this dress. 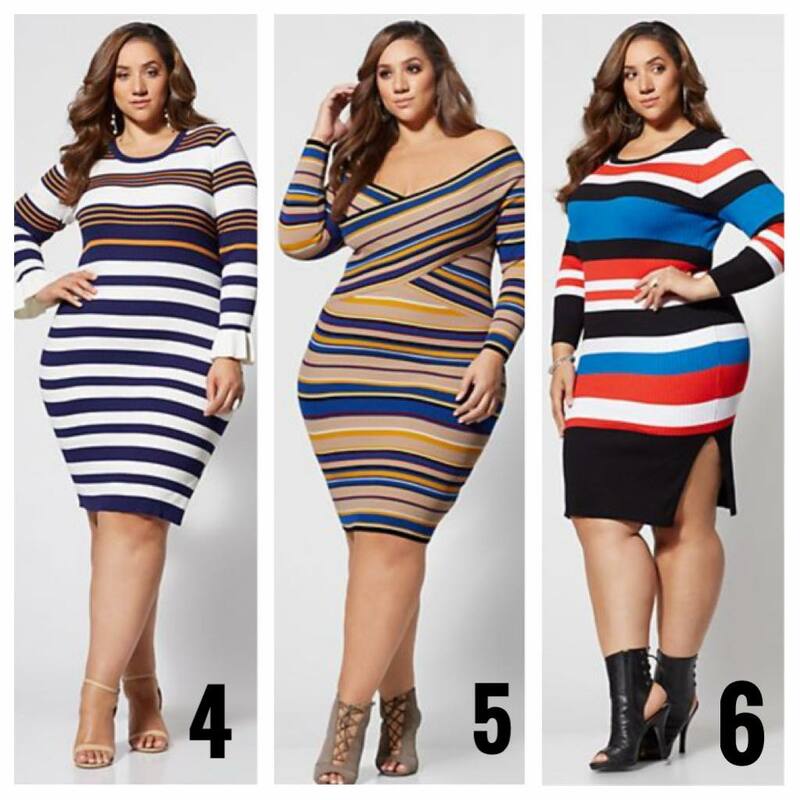 Fashion “experts” will say that plus size women can’t wear stripes because they are not flattering to our big bodies, but I disagree, I love stripes! and I wear them every chance I get. 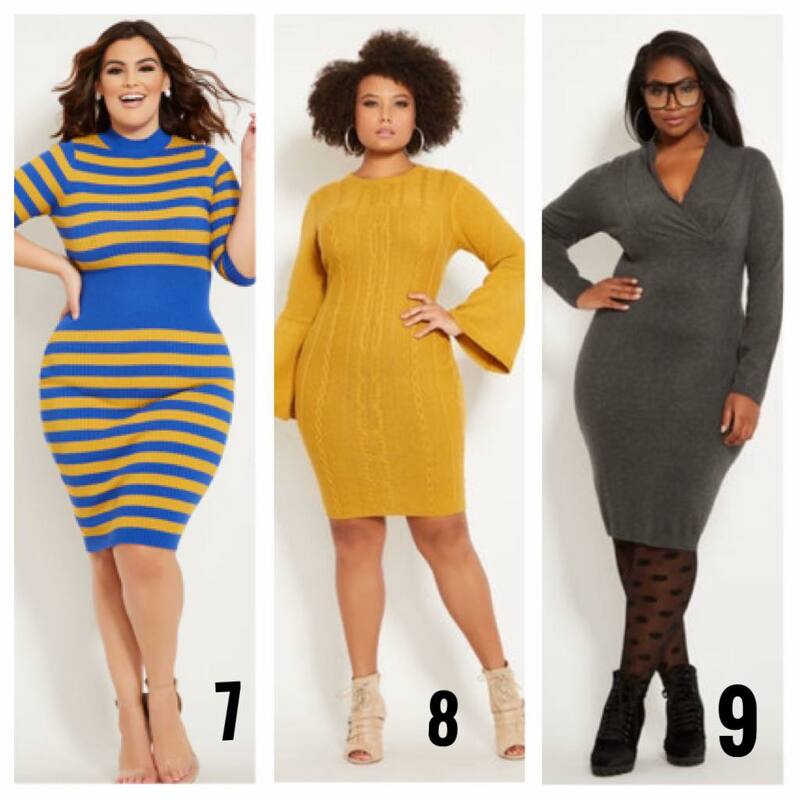 Plus size blogger Farrah Estrella in a sweater dress. Photo by Christina Jones. 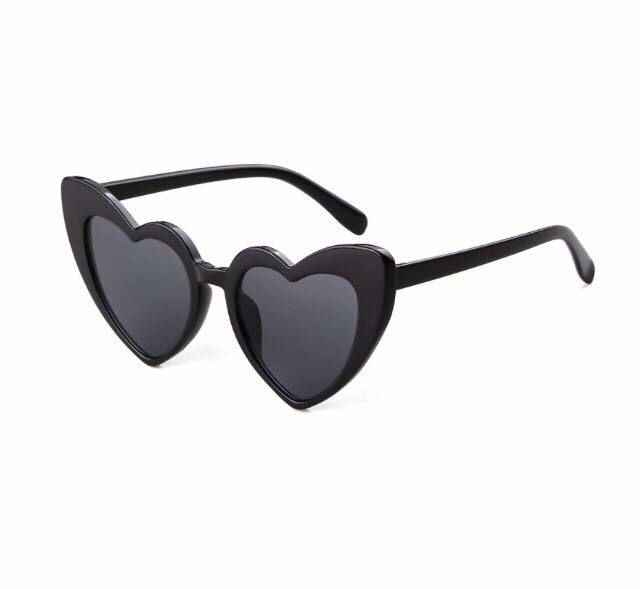 I added the black heart shaped sunglasses to the look because I am obsessed with them. 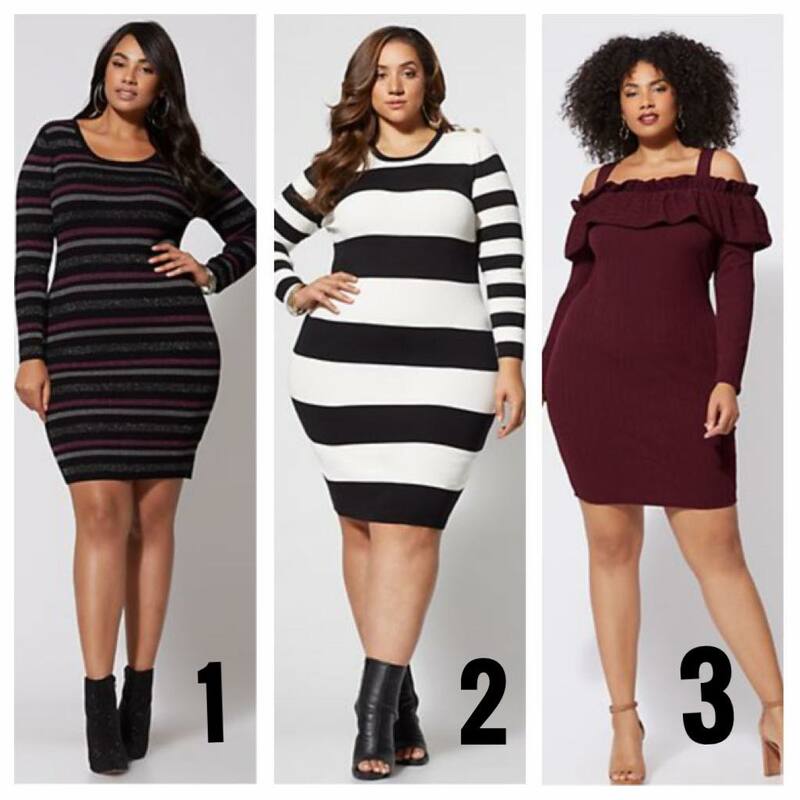 This time of the year, it’s a little cold in some areas of the country and sweater dresses are great to wear to keep you warm. 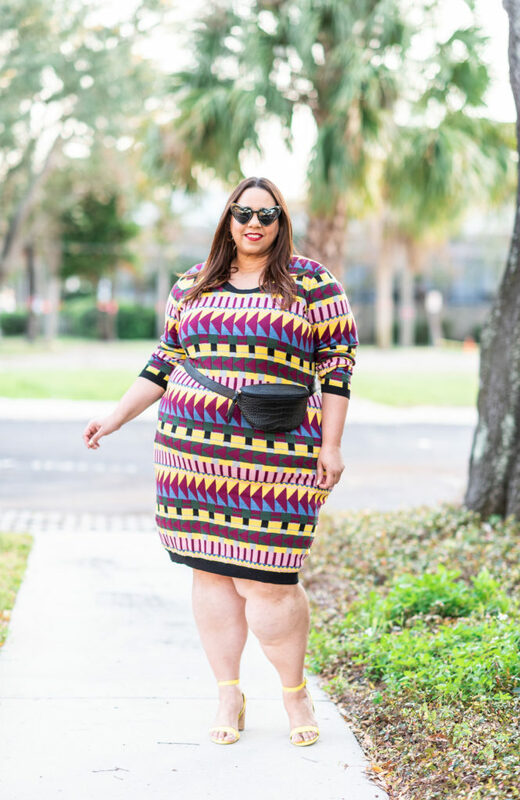 I live in Florida, it’s not too bad down here, no coat, tights, hat or gloves needed. At least not today, our weather is crazy! Hot one day, cold the next. 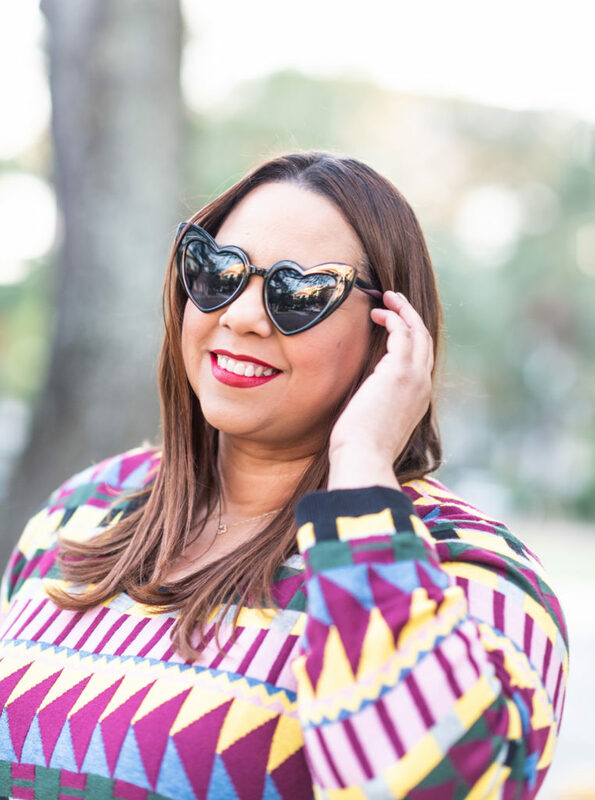 Influencer Farrah Estrella wearing heart shaped sunglasses. Photo by Christina Jones. 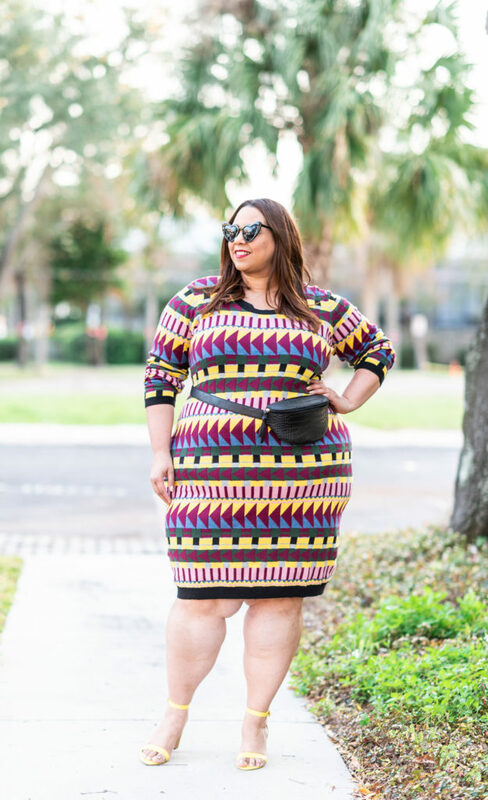 Dominican Blogger Farrah Estrella in Tampa. Photo by Christina Jones.